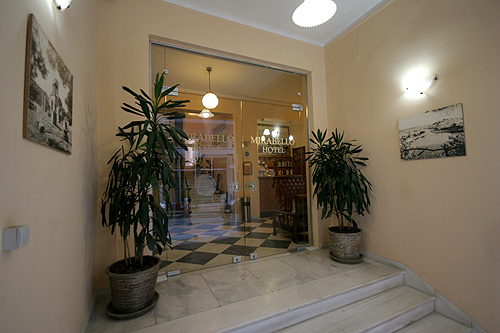 Address : 20, Theotokopoulou Str. 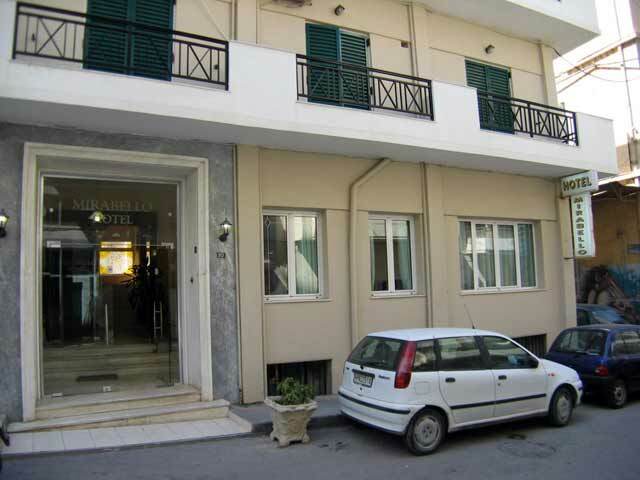 Hotel Mirabello is situated in a very quiet area at the center of Heraklion. 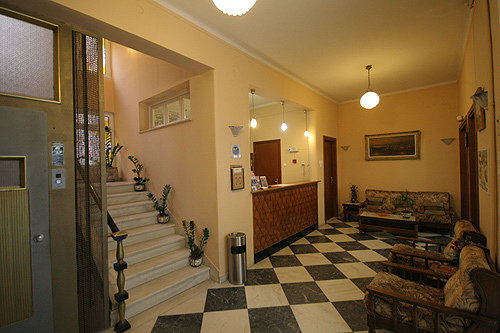 Renovations of 2001 gave our guests the opportunity to enjoy a nice and friendly stay. 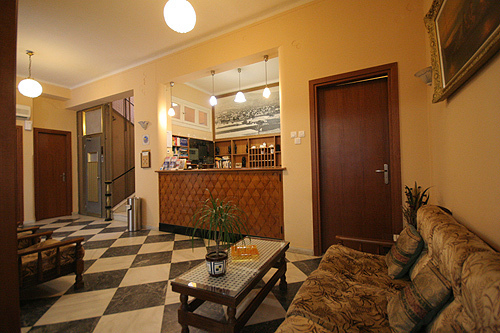 Being so close to Iraklion center, it provides access to all kinds of visitor interests. 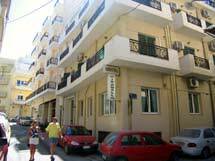 Mirabello hotel is located on a small street called Theotokopoulou one minute away from the Lion square and 150 meters from the seaside. 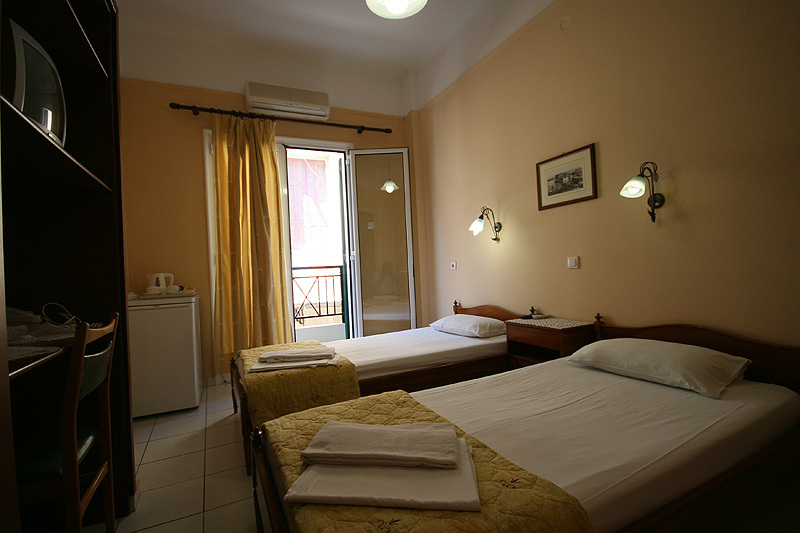 The Mirabello hotel consists of 25 rooms with a capacity to accommodate 50 people. 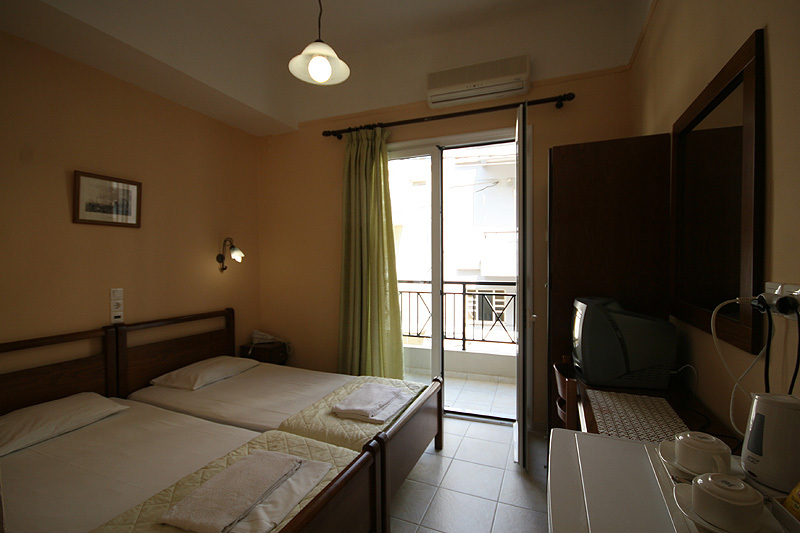 The majority of our rooms are soundproof, nice and clean and also equipped with: Independent Air condition - T/V Set - Direct dial phone - Hair dryer - Balcony or terrace - Private bathroom - Electrical sockets (220A/C Volts). 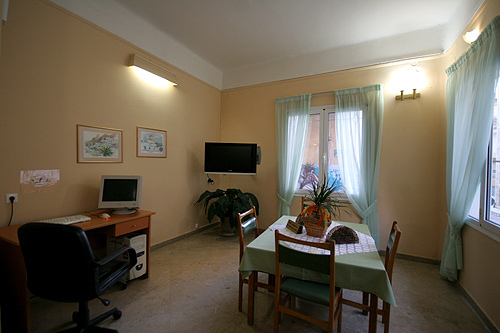 In Mirabello hotel, apart from the exceptionally friendly environment you can also find: Reception operating 24hours a day - Wake up calls - Free left luggage - Guest room with color satellite T/V - Travel Information and suggestions - Refrigerator (for common use) - Internet access (ISDN 128k) - Daily maid service - Lift. 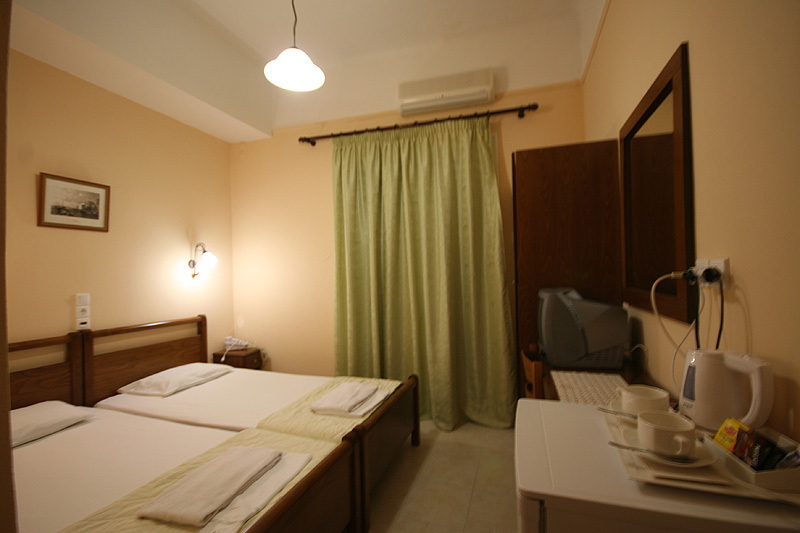 Our Family is very helpful and willing to serve you at any time of day or night.